Cook Israeli couscous according to package directions. Zest orange and add to bowl. Peel orange and carefully cut sections from orange. Cut orange sections in half. Squeeze any remaining membrane juices into vinaigrette. 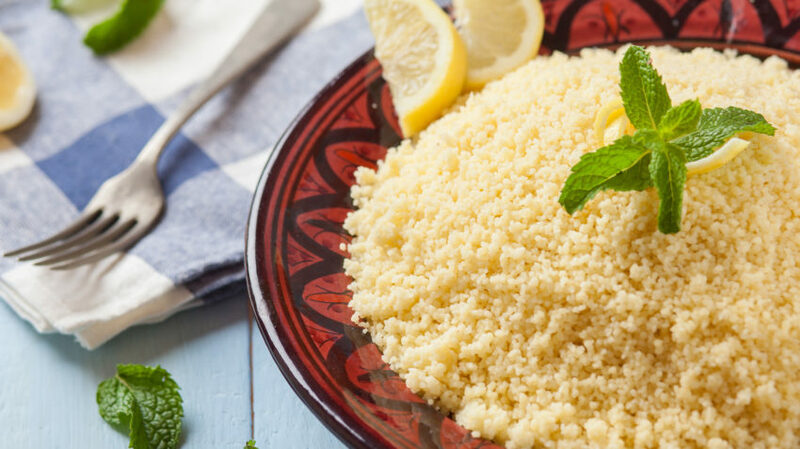 Add cooked couscous to large bowl with vinaigrette and toss. Set aside to cool slightly. Add orange sections to couscous. Stir in fennel, fennel fronds and onions. Top with feta and serve at room temperature or chilled.